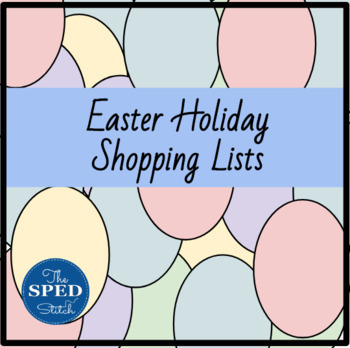 Easter Holiday Shopping Lists and Activities! The Easter Edition of our Holiday Shopping Lists has arrived! These activities are perfect for any classroom, but have been created for students with autism and disabilities in mind. It can be used as in a internet search or on Community Based Instruction. Let feedback today and earn free TPT credit! Trust me, it is worth it!